We buy cookery books for more than just the recipes. We collect them to savour a slice of life that the pages unveil. Bestselling author of Palestine on a Plate, Joudie Kalla’s, shares yet another soulful culinary journey in her latest book ‘Baladi.’ A celebration of Palestinian heritage and identity, Joudie conveys a sense of belonging through exquisite recipes characterized by the county’s different seasons and landscapes. Throughout readers are captivated by the book’s stunning photographs that complement each recipe. Kalla’s personal journey through culinary Palestine, influences her own twists to traditional recipes. Despite this, the essence of Palestine is preserved through this book that helps Palestinians around the world connect to their homeland. It is through years of sitting with my mother, aunties and grandmothers listening to their conversations and being included in their daily cooking adventures that I became engrossed in food. From their love and passion for cooking, my journey began as a chef and has continued through to this day. The cookbook includes a plethora of delicious and doable recipes, such as a Shakshoukeh breakfast; eggs mixed together with green tomatoes, Swiss chard and fragrant spices. A divine purslane salad with pomegranate seeds and shrimp. Beautiful cored carrots stuffed with rice and ground lamb and a scrumptious shawarma sandwich recipe. It also covers savory and baked recipes like flatbreads with zaatar, sumac, and onion and traditional desserts like caraway pudding-which is often served when a mother has a baby or is nursing. Finally, an exceptional black sesame cake, which is unbelievably light yet luscious. 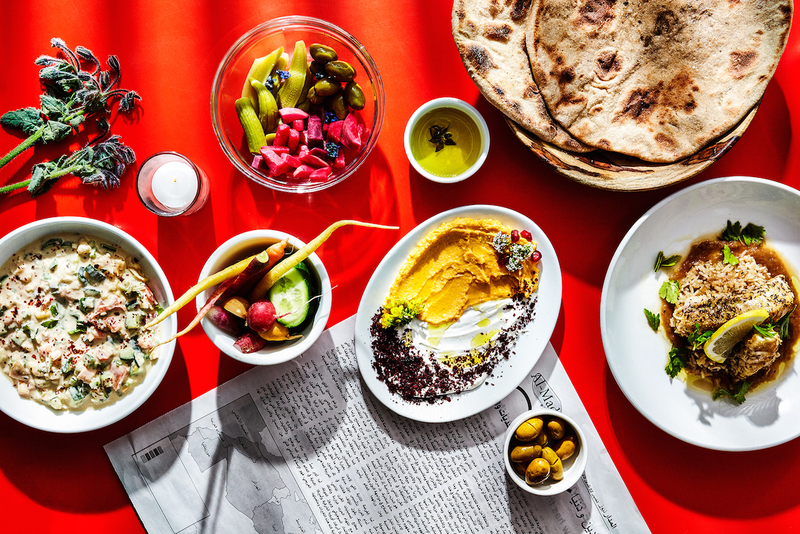 Once again, Kalla places Palestine on the map, evoking the core of its rich culinary heritage. This special book preserves the traditional flavours and spirit of a land that seems so depressingly remote for many in the diaspora. It is a preservation of history, and cultural identity, helping Palestinians around the world connect to their homeland, no matter what. Making them proud to be Palestinian thanks to the unique flavors of their land that, the taste of which nobody or nothing can eradicate.